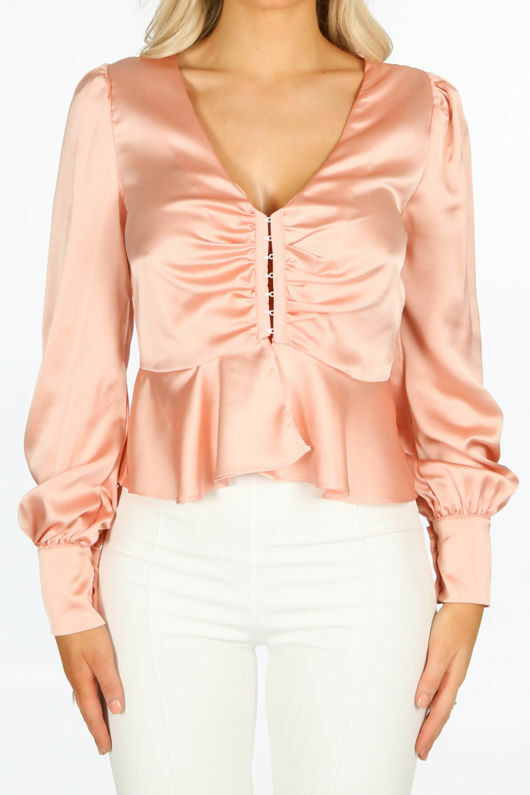 Keep things glam this season in satin pieces like the Pink Clasp Front Satin Peplum Blouse. This pretty blouse is perfect for those jeans and nice top days or dressed up for a night out. It details a v neckline, a clasp fastening detail to the front and a peplum hemline which gives it a cute, femine shape. Made from a luxe satin fabric, this looks amazing with skinny jeans or a mini skirt and heels combo.